If you are building classic Fender or Marshall you need rectifier like EZ81. 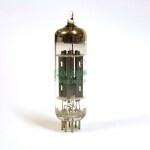 Rectifier is as important in classic amp as a choice of preamp tubes. Don't use diode bridges when you fire your amp. 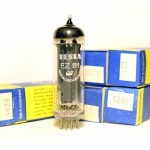 General Electric 6X4 (EZ90, 6Z4, 6Z31) is a classic choice for your tube preamp. 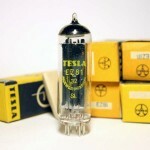 You can use it a..
Tesla EZ81is a classic choice for Marshall 18Watt and similar guitar amps. You can use it as a su..
Tunsgram EZ81is a classic choice for Marshall 18Watt and similar guitar amps. 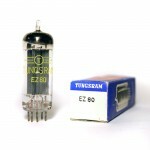 You can use it as a..
Tungsram EZ80 is a classic choice for your tube preamp. You can use it as a sub for octal rectifi..